Developed with Z-Man's proven mushroom-shaped head that makes the Finesse ShroomZ so deadly, the Power Finesse ShroomZ is a beefed up version that better handle.. 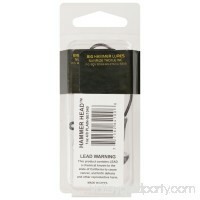 The Owner Ultrahead Wacky Head Jig Hook features precise weight positioning and orientation for the ultimate wacky presentations. 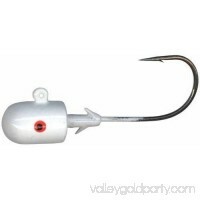 Its 1/0 hook is designed to ac..
Luck-E-Strike makes easy to use and durable lures and kits to catch your favorite fish. Easy to useMade of leadLuck-E-Strike makes easy to use and durable lures..
Look closely at the Strike King Swinging Swim Jig and you'll see that unlike other jig styles, it's not built on a fixed hook. Instead, it has an eye joint that.. 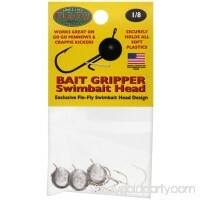 The perfect addition to small and soft plastic luresThe angled eye allows the baits to be reeled or pitched more preciselyThe 45 degree head also looks more li.. 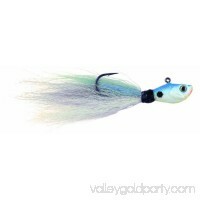 The Prime Bucktail Jig is not like any other jig on the market. 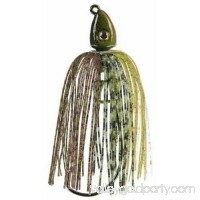 The unique shape of the head and placement of the eyelet help bring this lure to life. With bulg..
Get ready for your next fishing trip, and make sure you bring with effective hooks to reel in more fish than ever before, with the Big Hammer 1 oz. 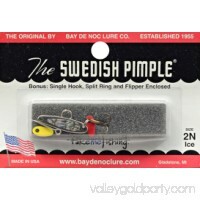 4/0 Hammer H..
Bay De Noc 2YELLOWICE 1-Inch Swedish Pimple Jig, 1/10-Ounce, Crushed Ice/Yellow Ice 135351 Bay de Noc A must for most fishermenAs a general rule the larger size.. Ensure your catch stays on the line with Arkie Jig Heads, Heavywire 1/2 oz. 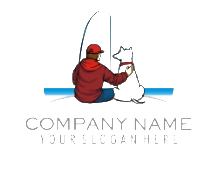 They help attract fish to your bait. 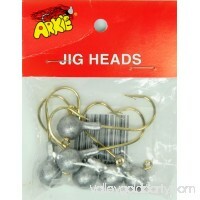 Arkie ball jig heads help catch all kinds of fi.. 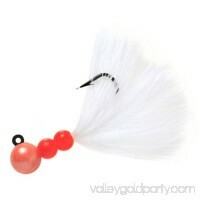 The Ultimate jig that started it all — this jig can be used for soft plastic and live bait fishing. 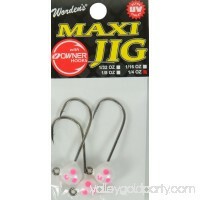 These Ultimate jigs are made with a black nickel Mustad ULTR.. 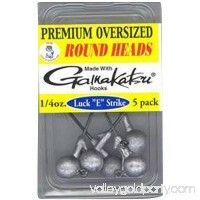 These non-dressed jig heads have durable urethane UV finishes and cleaned eyelets. 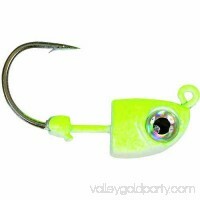 Non-dressed jig headsDurable urethane UV finishesCleaned eyeletsThese non-dre.. 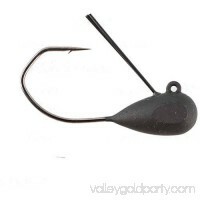 The new Boodah Shaker Jigheads feature a unique "keeper" on the shank of the hook, which holds the plastic on the hook better than the spring lock jigheads! The.. The Luck-E-Strike Jig Head 016, Crappie Magic, is made of lead and built to withstand the rigors of casting and capturing your favorite fish. It features a pain.. Premium materials and high-quality hooks give Beau Mac Marabou Steelhead Jigs the power you need to take on salmon and steelhead. 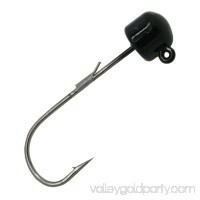 Each hook is chemically sharpe..